Colombia's second-largest city, the capital of Antioquia department, lies in a valley carved by the Medellín River about 200 km northwest of Bogotá. Altitude is 1,500 m. The city's population in 1930 was about 100,000. The metropolitan area today has 3.7 million inhabitants. The places named on the side of the car – towns far south of the city – were never reached by the horsecar line, which passed to a Belgian company in 1889 and closed in the 1890s. 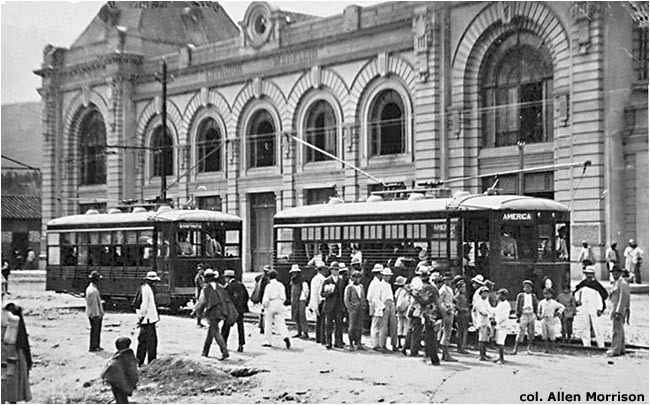 The city's first steam railroad, Ferrocarril de Amagá, finally opened a line from its station on Calle 44 to Caldas in 1911 [see map]. 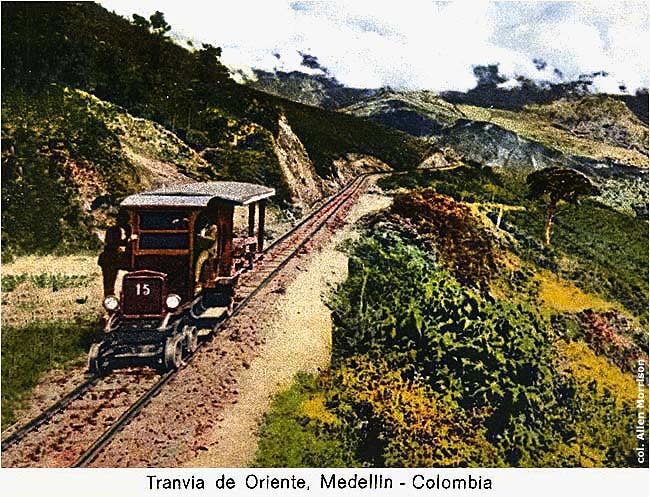 The second steam line, Ferrocarril de Antioquia, began operation in 1914. Both railroads used the same 914 mm / 36 in track gauge. 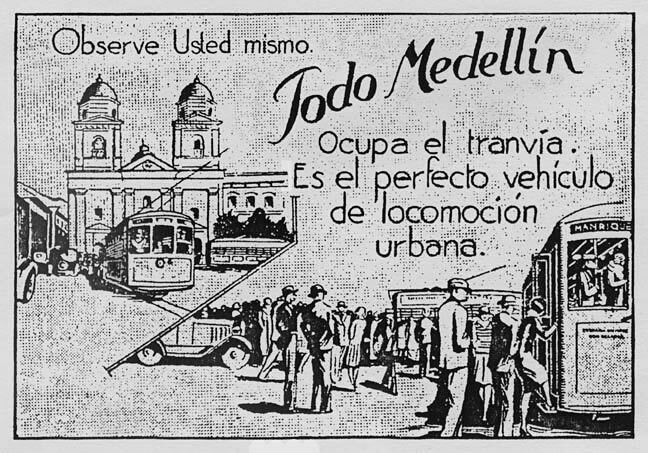 The illustration below appeared in the 1930 Informe of the Empresas Públicas Municipales, operator of Tranvía Municipal de Medellín: "See for yourself. Everybody in Medellín rides the streetcar. It's the perfect way to get around town." 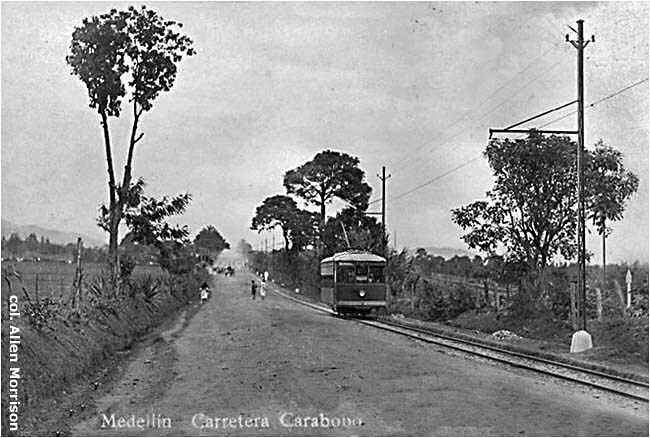 In addition to its electric tram lines, TMM also built a 5 km gasoline-powered line to El Poblado in 1925 [see map]. Three trams with internal combustion engines were purchased from Edwards Railway Motor Car Co. in Sanford, North Carolina, USA. But the service was short-lived and no pictures of TMM's gasoline cars have been found. 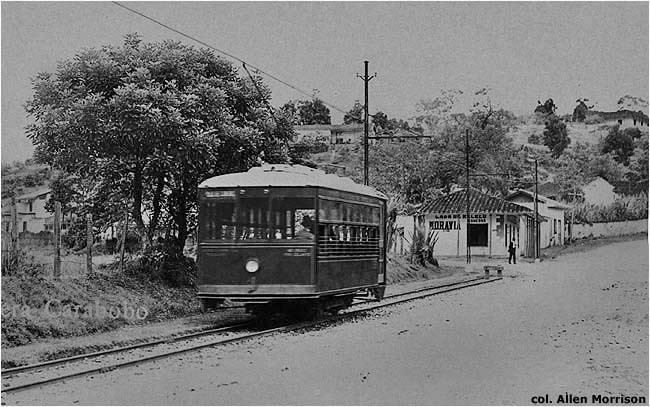 The Poblado line was electrified in 1927 and extended to Envigado in 1929. 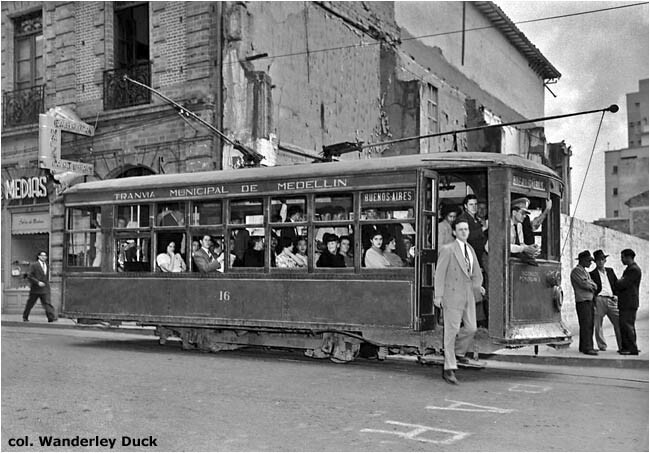 Both lines closed – Medellín's tramway system disappeared altogether on Sunday 7 October 1951. The city's electric tramway era had lasted just thirty years. 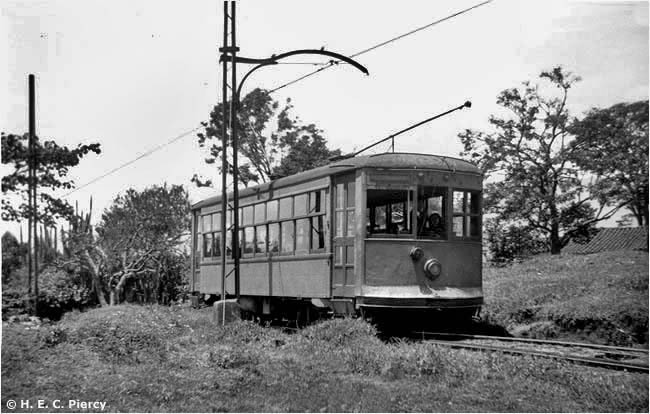 Birney car 19 (renumbered 61) of 1924 has been preserved. See Medellín Cultura and Tranvía de Medellín. 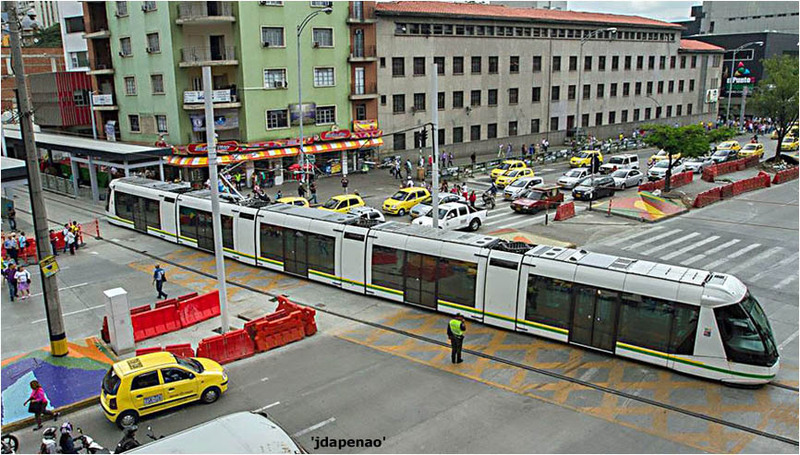 Metro de Medellín began the construction of a rapid transit railway in 1984, which it finally inaugurated in 1995. Route A runs from beyond Aranjuez in the north to beyond Itagüí in the south [see map]. Route B runs from the San Antonio metro station of Route A westward to San Javier, which is near the former terminal of the América tramway line. 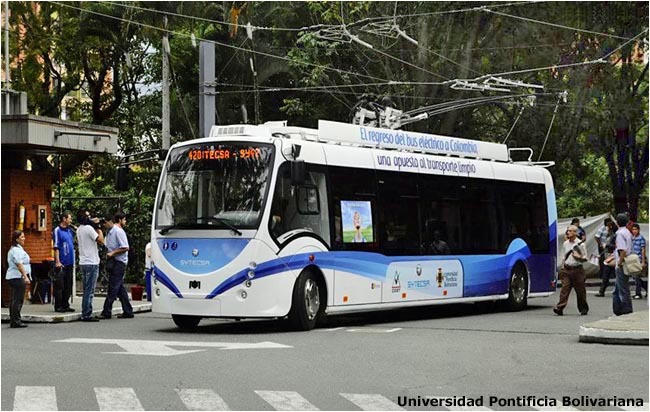 The system is continually expanding and is the only rapid transit railway in Colombia. There was nothing else like this in the Americas. Prof. Díez wanted to acquire more vehicles and extend the line along Carrera 70 to the Estadio station of metro route B, just north of the campus [see map]. But the proposal was unsuccessful and his trolleybus ran only one year. 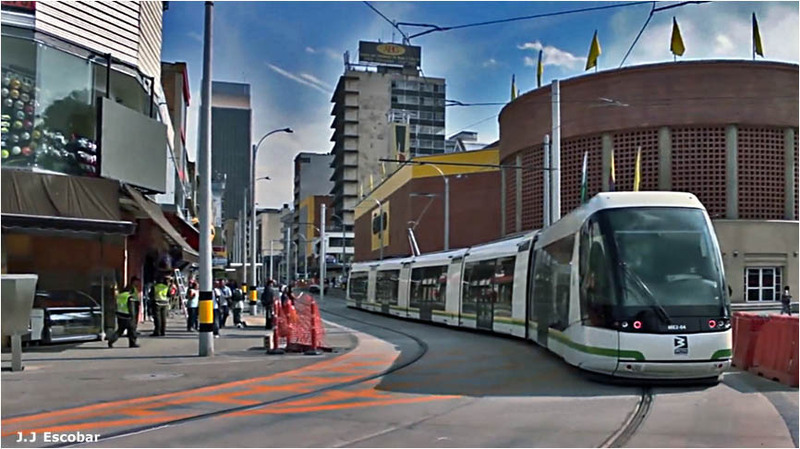 The Translohr line in Medellín is the first tramway of its kind in the western hemisphere. Medellín. Empresas Públicas Municipales. Informe. The annual reports of the 1920s and 30s supply excellent data about the installation and operation of the city's trams and trolleybuses. Alfredo Ortega Díaz. Ferrocarriles Colombianos. 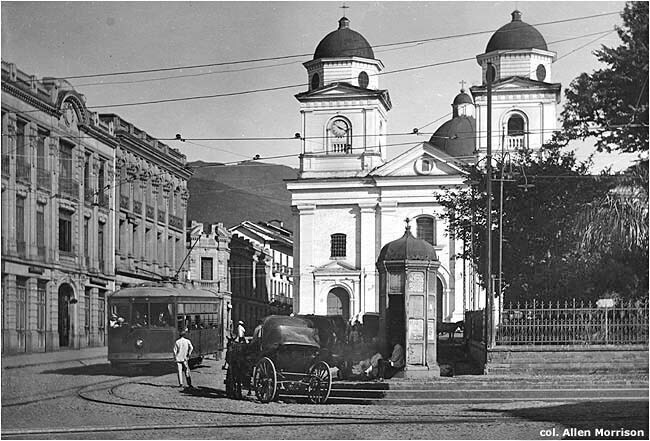 Bogotá, 1920-1949. 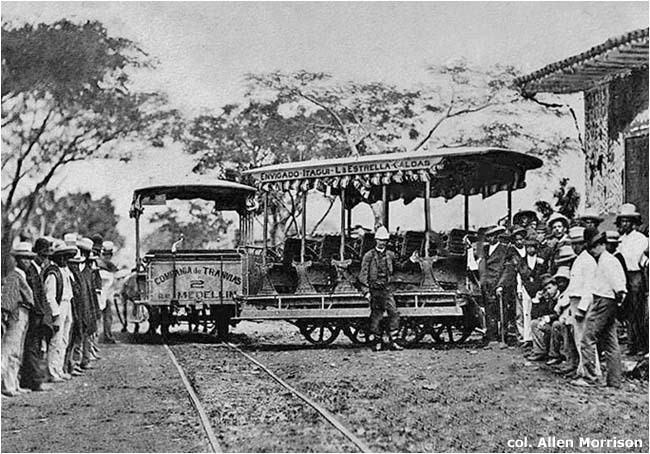 The chapter "Tranvía de Oriente de Medellín", p. 271, presents good technical and historical information. R. A. Bishop. The Electric Trolley Bus. London, 1931. 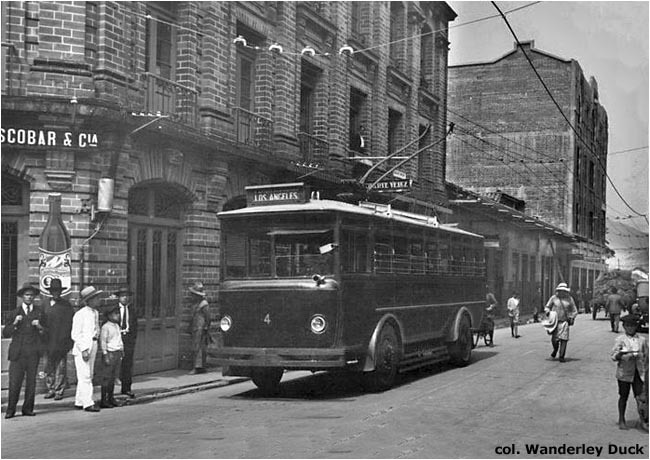 Photograph and brief description of the Medellín trolleybus, p. 77. Medellín. Empresas Públicas Municipales. Plano General de Medellín, scale 1:10,000. 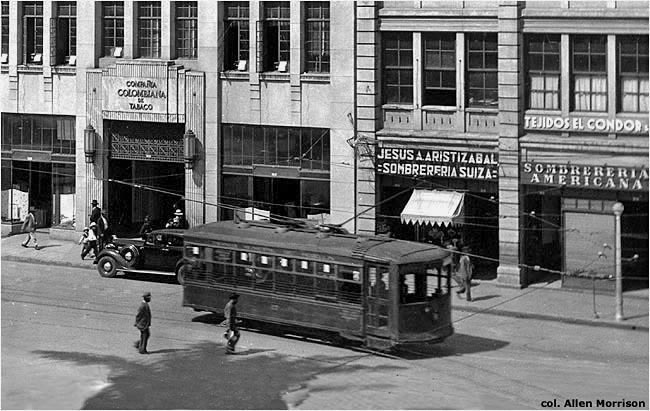 Medellín, 1931. Superb large street map shows the tram routes, including the long Envigado line, in detail. Colombia. Departamento de Antioquia. Anuario Estadístico. 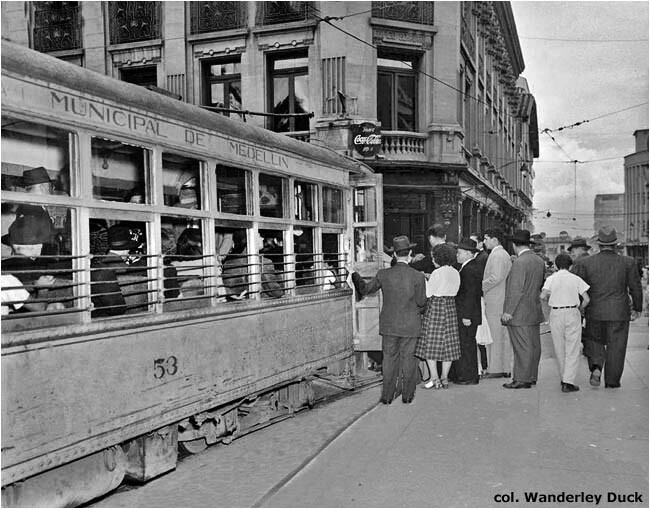 Various editions in the 1930s and 40s present statistics about the Medellín tramway operation. United States. International Trade Office. Industrial Reference Service, vol. 4, part 1, no. 2 (February 1946). 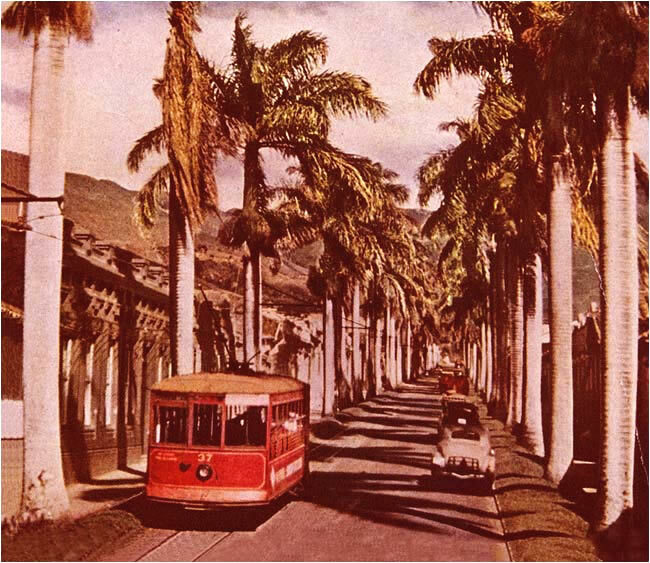 A 1945 transportation survey describes the operation and finances of the "Medellín Street Railway". E. Livardo Ospina. Una Vida, Una Lucha, Una Victoria: Monografía Histórica de las Empresas y Servicios Públicos de Medellín. Medellín, 1966. Tramway history, pp. 136-143, says that the system closed in 1946! (It closed in 1951.) 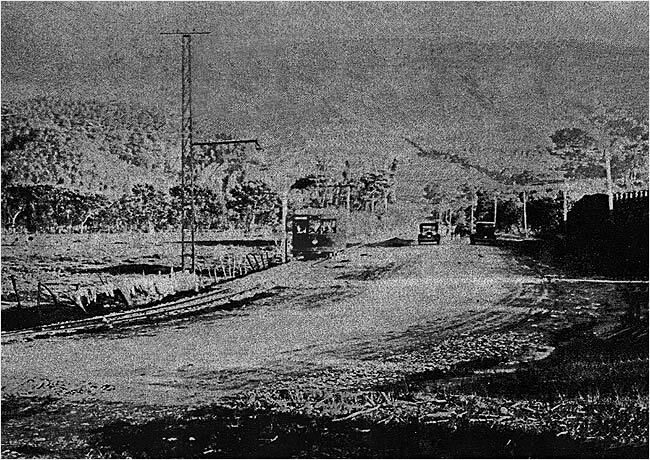 The photograph of the Envigado line shown above was copied from an illustration opposite p. 190. Colombia. Departamento Nacional de Estadística. Medellín en Cifras: Ciudad tricentenaria, 1675-1975. Bogotá, 1976. 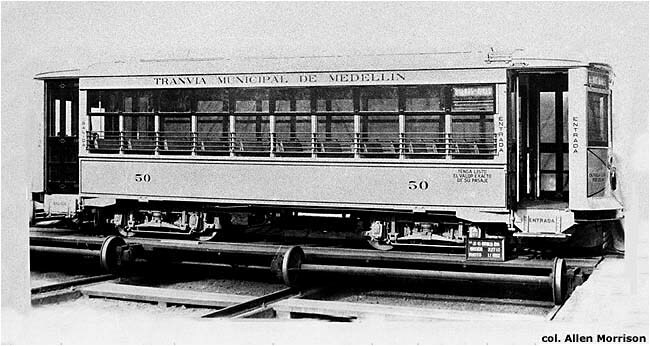 "Movimiento del Tranvía Municipal desde su Inauguración", p. 246, records system size, rolling stock and passengers carried from 1921 to 1951. Confirmation that the system closed in the latter year. Uriel Ospina. Medellín Tiene Historia de Muchacha Bonita. Medellín, 1976. "Unos Armatostes Llamados Tranvías", pp. 111-114, is a colorful and affectionate tribute to the city's trams. Lisandro Ochoa. Cosas viejas de la villa de la Candelaria. Medellín, 1984. 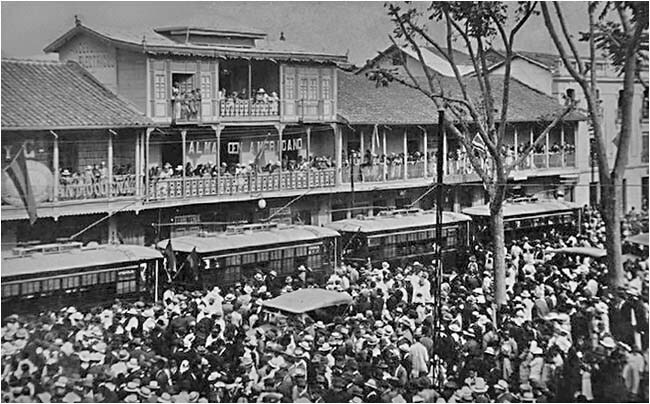 "Primer Tranvía de Medellín", pp. 166-169, describes the installation of the horsecar line – which, in contrast to other sources, this author says was inaugurated on 22 October (not 23 January) 1887. "Los Años Felices del Tranvía" in El Colombiano (Medellín), 26/11/1995. Full-page newspaper article about Medellín's trams includes a striking, large overhead view of two Birneys. A. L. Minter. 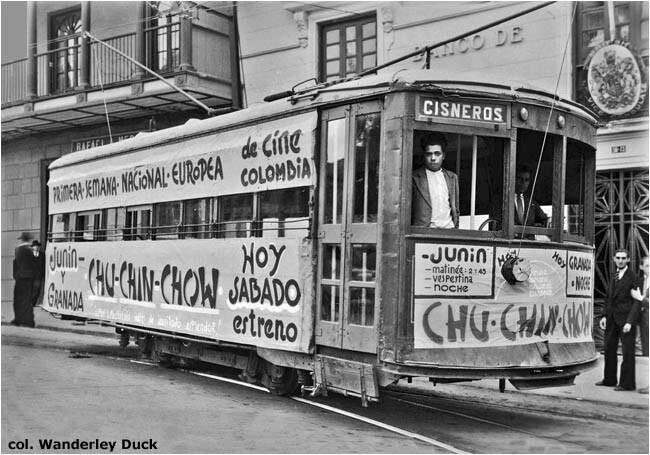 "Medellín City Transport: A History" in Tramway Review (London): part 1 in #172 (Winter, 1997); part 2 in #173 (Spring, 1998). Condensed, slightly revised version of the text above. New map. Juan Santiago Correa Restrepo. 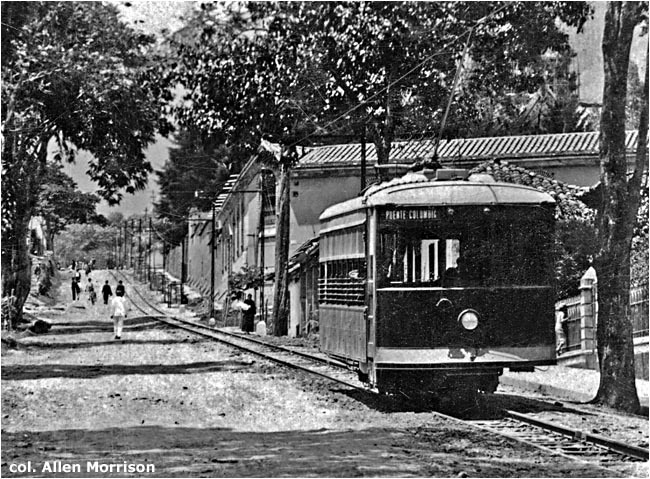 Los caminos de hierro: ferrocarriles y tranvías en Antioquia. Bogotá, 2010. 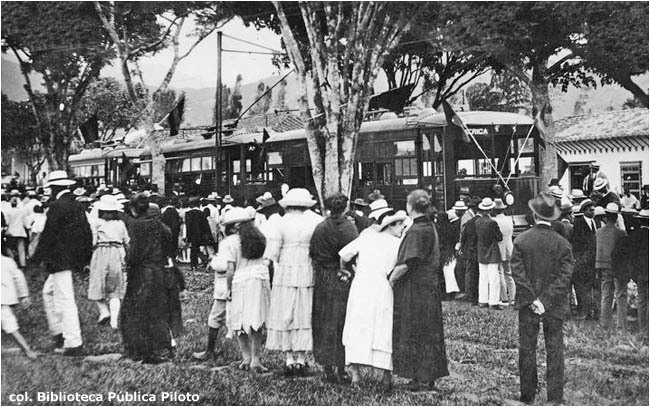 Chapter 4 - "Empresas de transporte urbano y política pública: los tranvías en Antioquia (1887-1951)", pp. 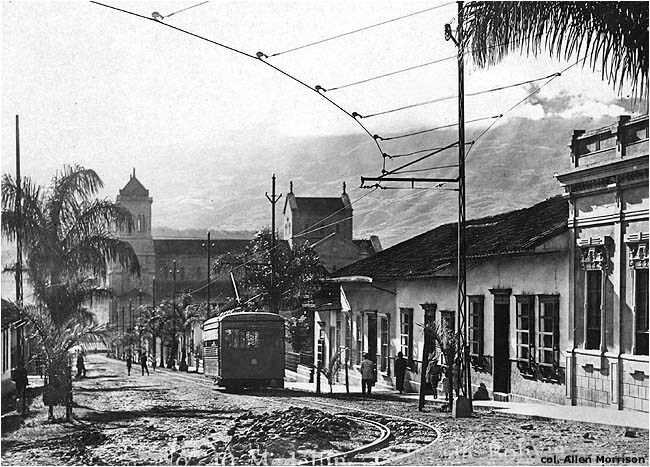 149-206, describes the development and decline of the Medellín tramway, with emphasis on economic and political aspects. Numerous illustrations. Fundación Museo del Transporte de Antioquia. 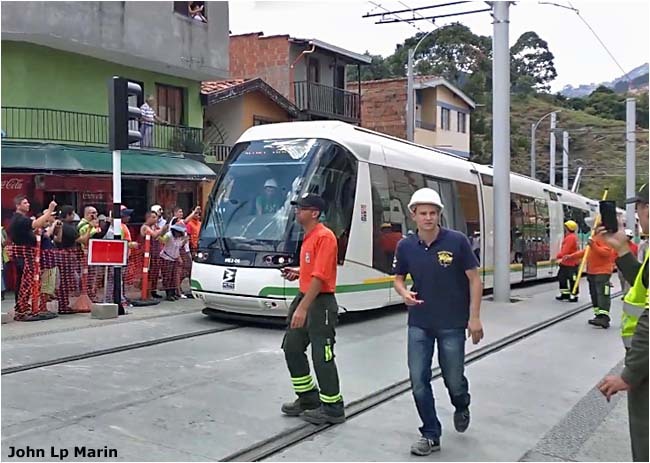 Description and photographs of preserved Medellín tram 61. Robert Schwandl. The Urban Rail map of the Medellín metro shows aerial cableway extensions and the new Tranvía Ayacucho. José Wilson Márquez Estrada. 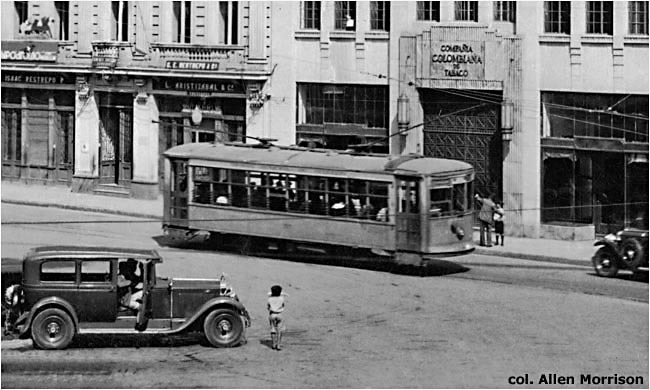 El Tranvía eléctrico de Medellín (Colombia) y su aporte al proceso de modernización urbana: 1920-1951. Medellín, 2012. Excellent history of the city's tramway development. Detailed maps. John Lp Marin. 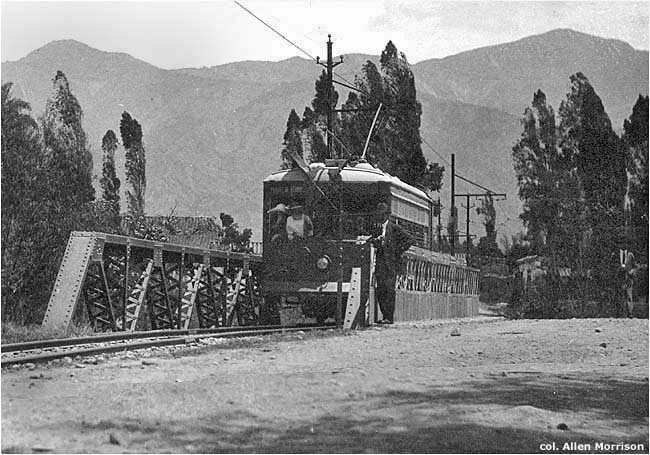 Tranvía de Ayacucho. YouTube video of the first test run, 13 July 2015. OpenStreetMap shows Ayacucho line with cableway extensions.